Selecting the doors for your new home is important. Surprisingly there are several to choose from to give your home the look and durability you want. The same is true for the casings and baseboards in your new home. They provide a touch of flair, as well as a layer of protection. 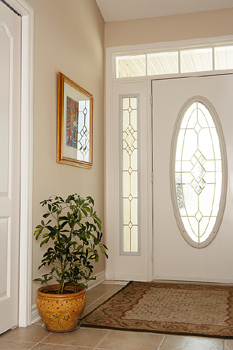 There are several different types of doors you can choose when you decide on a door for your new home. Your most basic door is a hollow core door. That means the inside of the door is actually hollow. This is an inexpensive option because overall you are paying for less wood. Paneled doors are another option you have. You can select how many panels you want for your door. These will be more expensive because they have some wood inside, but they offer the option of your door hinge of being firmly bolted into solid wood. This allows for a much tighter fit of the door. It’s also important to properly shim your door. With a securely installed jamb, a door is less likely to sag from frequent use. The right door fittings and locks will enhance your property by adding to its value, keeping it secure, and improving its appearance. There is a huge range of door hardware available that has been made to suit all types of homes. Case molding sets a definition of the overall style of the room. They are used primarily to cover up the gap between the drywall and the door or window frame. They are smaller than base molding or the baseboards. Casing is the wood that goes around doors, including closet doors. There are different widths and styles. They can be used in conjunction with other architectural elements such as headers, rosettes, and plinth blocks. Baseboard molding is a type of decorative molding that is installed at the bottom of a wall against the flooring in order to finish the region where the area of the wall meets the floor. Choosing your baseboard molding is important because it helps determine the architectural finishing of the house. From an aesthetic perspective, it is important to choose baseboards that will work harmoniously with your door and window casing. 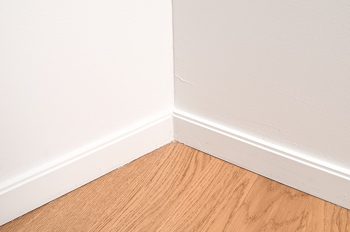 A typical home uses baseboards from 2' to 6' deep from top to bottom. Usually, they are sold in long pieces (around 8', 10', and 12'). Make sure you measure carefully what you need and consider adding extra when you buy them. Choose shock resistant baseboard which can give you a maximum long-term protection against scratches and dents. This is especially useful if you're installing baseboards for high traffic areas. Casing and baseboards provide both style and a safeguard for your walls in your home. There are several considerations when you select them for your new home you need to keep in mind. At the same time, doors also come in a variety of styles and you need to consider what type best meets your home’s needs.